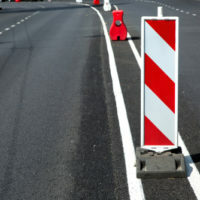 While nobody enjoys the orange highway cones designating construction is under way, the fact of the matter is, the cones, signage, and barriers are all displayed to keep drivers, and the construction workers– who strive to repair Florida’s network of roads,highways, and bridges– safe. Nonetheless, far too many preventable accidents occur in Florida construction zones every year. Florida has been rated the third worst state in the country for fatal accidents in highway work zones, with 669 fatalities in 2014 alone. That’s nearly two deaths in construction zones every single day. One hundred and nineteen of those fatalities were construction workers. Serious injuries in these work areas approached 500 that same year. The financial impact of these incidents is surprising, at an estimated $4 million for each death and over $40,000 for each injury. OSHA assessments put the cost of worker fatalities and injuries even higher, at $8.7 million and $62,000 respectively. The facts tell us that we all need to work harder to keep these work zones safe. Time of year, with the summer months being the most dangerous. The most common type of accident cited in work zones are rear-end crashes, totaling over 40 percent of all accidents. Outside of work zones, rear-end collisions make up only 16 percent of accidents. The majority of fatalities involve cars, while about one-fourth involve large trucks. While the majority of worker fatalities are related to construction equipment rollovers and/or back-overs, vehicle collisions comprise the second leading cause of death in work zones. Government agencies that failed to provide proper warnings for hazards.